Louise Smith was the club’s representative in this competitive half marathon which took place at Derrylaughan near Coalisland. The ever consistent Louise joined the field of 193 athletes and ran strongly to finish 3rd lady and 16th place overall. The annual Craic 10k started from Belfast City Hall and finished this year in Ormeau Park. 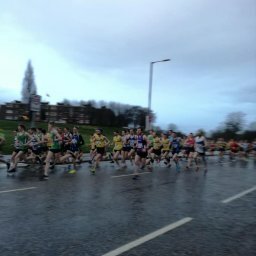 The variable weather didn’t deter the huge field of 1,495 runners including a whopping 40 from NBH. At the sharp end Philip Goss continued his fine run of form to claim runners-up spot in 32:45, just 5 seconds behind winner James Edgar of COLAC. Brothers Conal and Brendan McCambridge didn’t hang about either, posting 33:04 and 36:24 respectively. In the ladies race, Commonwealth Games marathon runner Gladys Ganiel demonstrated her good form with a fine win in 36:00. 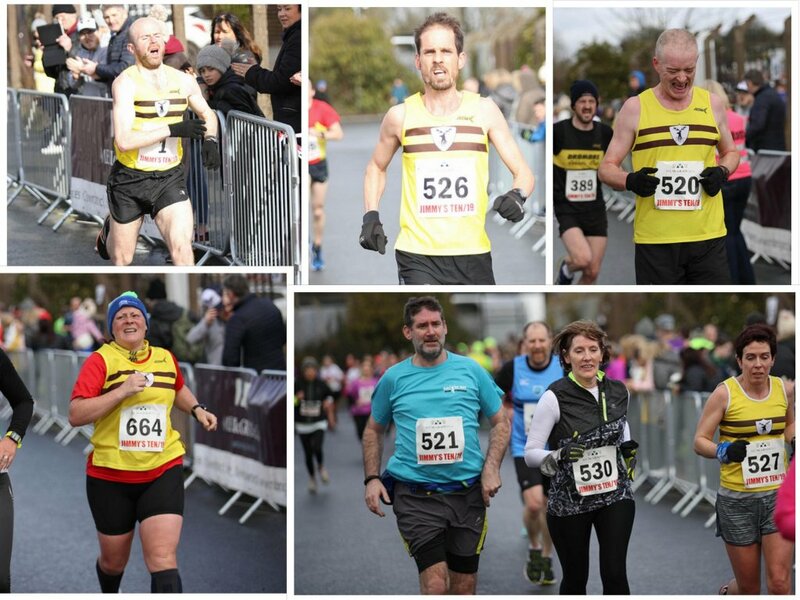 The annual Jimmy’s 10k took place on Sunday in Downpatrick with an early start at 10am to facilitate the St. Patrick’s day parade’s new start time of 1.00pm. Lying water on the recently resurfaced path along the Quoile didn’t deter the 845 athletes including 13 harriers who toed the line. 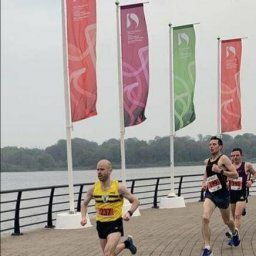 Mark McKinstry ran true to form, taking an early lead and front running the whole way for a fine win in 31:11 from the in form Paddy Hamilton (Slieve Gullion Runners) in 2nd place (31:56). 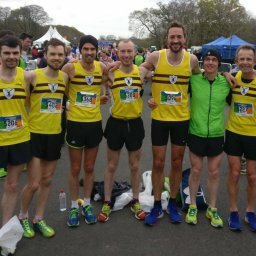 Gareth Lyons finished well inside the top 10 in 33:43 with fast improving Mark McAvoy and super veteran David Clarke both well under 36 minutes. It was a great day for the Clarke family with Carol winning the F50 category. The East Antrim Marathon Series staged back to back 6 hour events on Saturday and Sunday. 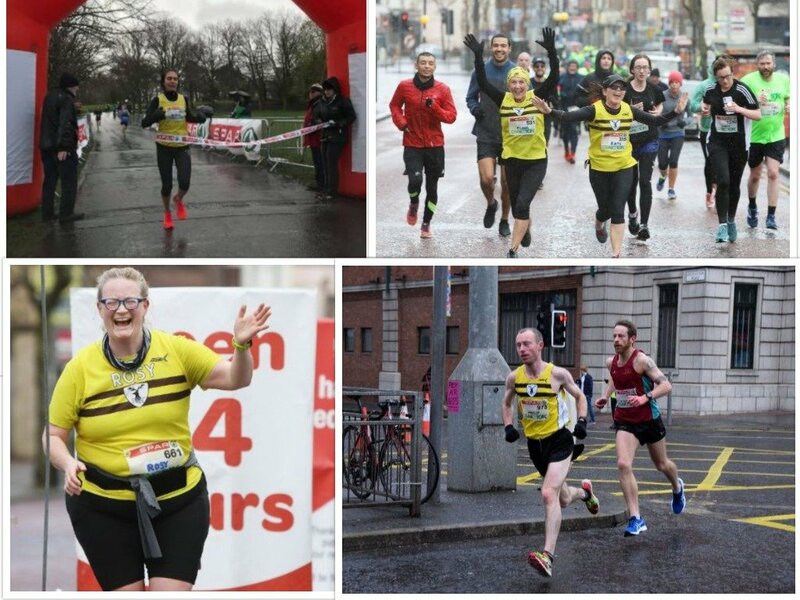 Many of the runners were using these runs as part of their build ups to challenges ahead including the Dublin to Belfast run later this month and the Energia 24hr race in June. Conditions on Saturday morning were pretty wet, with flooded sections of the Loughshore path and winds coming off the Belfast lough adding to the challenge. Sunday proved to be a bit drier. The highlight performances by club athletes were by Thomas McKinstry and Gordon Glenn who both achieved back to back marathons. 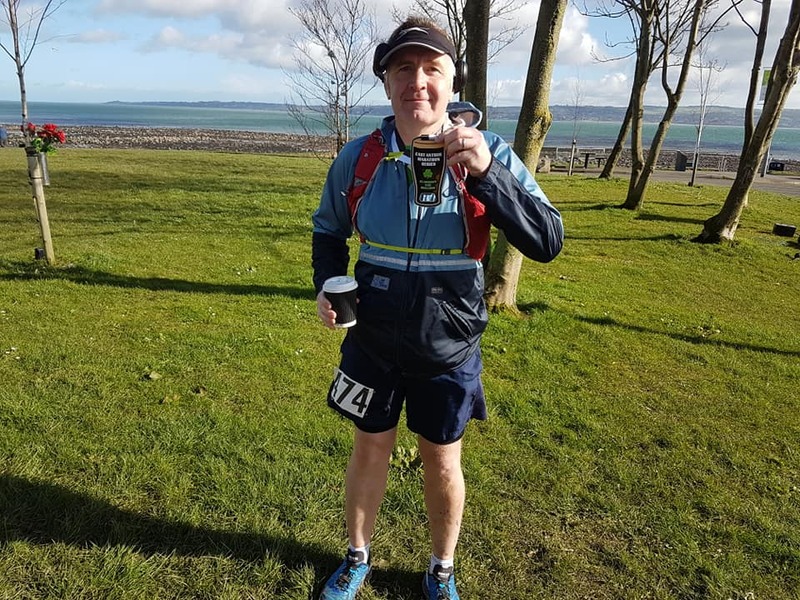 Robbie Speers also completed a marathon on day 2. 36 harriers took part in parkruns on Saturday at 7 local events. Congratulations to Idris Wabbe and Grainne Stephens on new PBs at the Waterworks and to Nat Glenn who completed his 100th run at Larne.